The criminal justice field is a broad field that has many opportunities available to those who have a passion for justice and law and order and getting a degree from one of the many cheap online criminal justice degree programs can be your ticket to a fulfilling career. Forensic science is a great career for those who enjoy the scientific part of the criminal justice system. Others who thrive on helping to keep the peace in our nation may enjoy law enforcement. Obtaining a bachelor’s degree in Criminal Justice is excellent preparation for any of these fields. While studying criminal justice, students will get a firm background in the history of America’s criminal justice system. In addition, most programs will also analyze the reasons for crime and criminality. Forensic science programs will focus in on the science behind crime. The right degree program is essential for proper preparation. Fortunately, there are quite a few cheap online Criminal Justice Degree Programs that will adequately prepare a person for the exciting field of criminal justice. The University of Phoenix has an excellent criminal justice program. This University offers 3 different degree levels. They offer an Associate’s, Bachelor’s, and Master’s Degree in various criminal justice and security fields. The admission process is straight forward. A student will need to have a high school diploma or GED to qualify for admission. The prospective student will need to submit an application and pay the applicable fee. Tuition is dependent upon the number of courses taken. The University of Phoenix and most other universities and colleges charge per credit hour. Associates degrees cost $395/credit hour; Bachelor’s Degrees cost $585/credit hour; and Master’s degrees are $740/credit hour. Fortunately, financial aid is available to many students. If a student meets certain income guidelines, they may qualify for a Pell Grant, SEOG Grant, and student loans. The Kaplan University School of Criminal Justice has a number of options available for someone wanting to study this field. From certificates to associates’s degrees and onto bachelor’s and master’s degrees. The admission process is simple and seamless. The prospective student will need to fill out an application and pay the fees associated with the application. Admission will also be based on having either a high school diploma or GED. In some cases, the student will need to do additional testing to determine their placement. Tuition varies depending upon the specific degree. For example, getting a Crime Scene Technician Certificate from Kaplan will cost $16,300; a Bachelor of Science in Criminal Justice is $66,780; and a Master of Science in Homeland Security and Emergency Management degree costs about $22,500. Financial aid is available to students that meet Federal income guidelines. A student can qualify for grants, scholarships, and loans. Another great criminal justice Program is offered by Penn State. A student can obtain a Bachelor’s Degree in Criminal Justice from this well known university for $504 per credit. Virginia College offers an online Bachelor of Science in Criminal Justice for $67,500 and a Master of Criminal Justice for $69,300. The programs at Virginia College are accredited by the Accrediting Council for Independent Colleges and Schools. Strayer College offers two criminal justice degrees. 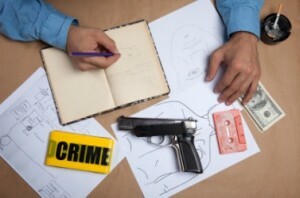 The Associate in Arts in Criminal Justice is a program typically completed in 3.5 years and offers courses in criminal theory, ethics, and law. The tuition for this program is $34,600 for full-time students and $36,500 for part-time students. The tuition for the Bachelor of Science in Criminal Justice degree is $69,000 for full-time students and $72,400 for part-time students. Cheap online criminal justice Degree Programs are readily available to those who wish to pursue a career in criminal justice. Related article: Are Online Degrees Worth It?